When millions of people took to the streets for the 2017 Women’s Marches, there was an unmistakable air of uprising, a sense that these marches were launching a powerful new movement to resist a dangerous presidency. But the work that protests do often can’t be seen in the moment. It feels empowering to march, and record numbers of Americans have joined anti-Trump demonstrations, but when and why does marching matter? What exactly do protests do, and how do they help movements win? In this original and richly illustrated account, organizer and journalist L.A. Kauffman delves into the history of America’s major demonstrations, beginning with the legendary 1963 March on Washington, to reveal the ways protests work and how their character has shifted over time. Using the signs that demonstrators carry as clues to how protests are organized, Kauffman explores the nuanced relationship between the way movements are made and the impact they have. 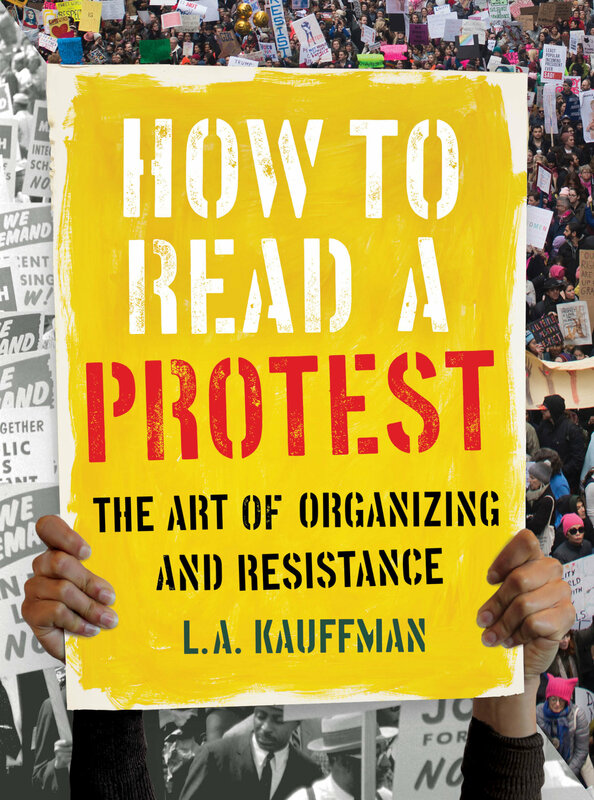 How to Read a Protest sheds new light on the catalytic power of collective action and the decentralized, bottom-up, women-led model for organizing that has transformed what movements look like and what they can accomplish. L.A. Kauffman has been a grassroots organizer and movement journalist for more than thirty-five years. She was the mobilizing coordinator for some of the largest demonstrations in U.S. history—the massive Iraq antiwar protests of 2003 and 2004—and has played key roles in many other movements and campaigns. Kauffman's writings on organizing and resistance have appeared in The Guardian, n+1, Frieze, and numerous other publications, and she is the author of Direct Action: Protest and the Reinvention of American Radicalism. Visit lakauffman.org for tour dates and speaking engagements. Listed as one of the "14 Best Political Books to Read Before the 2018 Midterm Election."